• How is plutonium used? • When is plutonium dangerous? • Where is plutonium dangerous? • Who discovered how to make plutonium artificially? Nuclear energy derived from the atomic nuclei at the essential core of material existence is so baffling to most people that deciding the risk from plutonium is a serious challenge of careful attention to details. A particular few of the many atomic elements are used to derive nuclear energy because they are structurally unstable. That means they will change over time. As these dynamic elements transform over time they emit enormous amounts of power. We sense some of this force as heat but far more energy is not felt at all and exists beneath our level of sensory awareness. One of these active elements is plutonium, which is a product of nuclear fission in the element uranium. Uranium is an ore mined in the American southwest, western Canada, Siberia and the Australian "outback." Plutoniums use has become a serious matter of debate and is confusing because it represents a scientific puzzle for even astute and literate citizens. What is radiation but the product of radioactivity? Heinz Pagels, a physicist, wrote, "But experimental physicists had turned up some puzzles that did not have an explanation in terms of the prevailing theories. 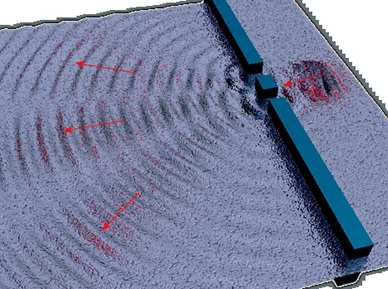 Radioactivity -- the spontaneous emission of particles and rays from specific materials -- had been observed." He was referring to laboratory experiments conducted between 1896 and 1911. "Perhaps the most puzzling observation of all, He went on to say, "was the sharp lines in he color spectrum of light emitted from different materials." (The Cosmic Code, p.10.) This spectrum is the signature of an element by which a mass spectrometer distinguishes atomic elements from one another. What was so puzzling? Pagels holds that "The puzzling experiments were indirectly revealing the properties and structure of matter down to the smallest distances beyond where anything could yet be directly seen." The idea that atomic elements could emit vast quantities of energy as waves and particles was a revolutionary view at the time. The problem of where the energy came from and how it behaved was a puzzle that absorbed physicists and chemists for nearly fifty years. We call that energy "atomic" and forces that account for radioactive decay explain atomic or really nuclear behavior. The weak nuclear force explains the fission process as the decay of atomic nuclei and the emission of unseen, tasteless and odorless discharges. Puzzles are ways to figure out predetermined answers. They are ancient metaphors that represent the process by which humans solve problems. But the controversy surrounding plutonium as a fuel source has no readily predetermined answer. Because humans are reactive learners problem solving is an important developmental process by which we understand ourselves and simultaneously comprehend our surroundings. Plutonium presents us with new ways to describe and understand our environs. Radiation is an inherent part of our surroundings without it we would cease to exist. Plants thrive on solar radiation. But from this fact stems a puzzle of enormously important proportions. How dangerous is too much radiation? In other words what is the optimal range of radiation exposure? Radioactive decay is the product of unstable atomic elements emitting three types of discharges (a, b, & g). Each of these Greek letters represents large, medium and small sized doses of radiation. None of these alpha (a), beta (b), or gamma (g) forms of radiation can be sensed by humans. Like a poisonous mushroom, their toxicity is only identifiable by experts. Sophisticated and costly equipment is used to detect contaminants. While radioactive decay is the product of atomic elements with a number higher than 82 on the Periodic Table of Elements, radiation is everywhere. Measured by the electromagnetic spectrum, light, microwaves and television (actually radio waves) emissions are all examples of radiation. The intensity of radiation is measured by the difference in frequency, or how often the discharges are detected. These alpha (a), beta (b), or gamma (g ) forms of radiation are very high frequency emissions. Gamma radiation is the most penetrating form of emissions from radioactive substances. It is able to disrupt the chromosomes in the cellular nucleus. All experts agree to minimize gamma ray exposure. The atomic element Plutonium (239Pu) -- named for the planet Pluto and discovered on February 24, 1941, by Glenn T. Seaborg, an experimental chemist, in Berkeley, California -- is an active emitter of high frequency radiation. As a sort of signal light from the depths of the atomic nuclei, radiation has the velocity or force to penetrate material objects with respect to the frequency of the emissions. The higher the frequency, the greater the energy and thus the more penetrating the power of the discharge. 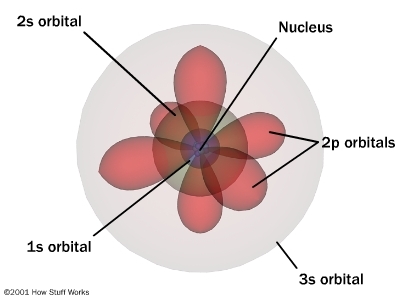 Alpha (a) emissions are actually the nuclei helium atoms. They are composed of four subatomic particles (two neutrons and two protons). Plutonium is an unstable atomic element that comes in several varieties and as these decay they emit alpha particles. The amount emitted is proportional to the mass. Experts disagree over the risks posed by alpha radiation. Scientific experts disagree over the value, the danger, and the uses of plutonium depending on their specialty. The discoverer of Pu, Glenn T. Seaborg promoted the use of this material as a fuel because of the enormous capacity of a pure gram (about 1/28 th of an ounce) of uranium to generate the equivalent of more than a ton of coal! A kilogram (1000 grams) is equal to slightly more than 2.2 pounds; one thousand pounds is equal to one ton. Once reactor technology was perfected experts anticipated that "one ton of uranium was expected to be the equivalent to 10,00 tons of coal." In France, where 80% of the electricity generated is produced by nuclear fuels, physicists are confident that nuclear reactors are virtually risk free. When compared to driving a car, for example, nuclear safety is factually correct. Cars are more likely to cause the death of a person than a nuclear reactor. The charm of plutonium is that it is readily produced by the fissioning of refined uranium (238U) inside of nuclear reactors. These reactors produce isotopes for everything from medical treatment of disease to the generation of electricity or for the manufacture of hydrogen bombs. Nuclear weapons are often confused in peoples minds with the dangers posed by radiation. Some assume that nuclear reactors explode like the Nagasaki blast. While the bomb dropped on Nagasaki was fueled by 239Pu, nuclear power plants do not "explode." Specialists argue, however, over the safety of nuclear reactors. Skepticism as a trait of a good scientist leads to disagreement among experts. This is the character of the scientific enterprise. Reasonable people will argue over detectable errors and details. Because of these contentious characteristics, scientists challenges to prevailing theories often generate public confusion. Thus people have to recognize that, based on dependable evidence, they must decide what constitutes a reliable use of nuclear energy. People must also have sufficient information to determine what is an allowable risk. Plutonium as a toxic substance becomes a puzzle because it is the product of uranium fission that has the potential to be used for both beneficial and threatening purposes. It is at once a symbol of technological achievement, like fire, and a signal that we ought to behave very carefully in its presence. The questions of how much care and how reliable humans are becomes central to determining the benefits or risks from plutonium? Some who fear global climate change offer nuclear power as a safer alternative to coal or oil for electricity.Like all radiation producing materials, Pu has what is called a decay rate measured in terms of its half-life. That measure refers to how long it takes before any amount of the substance no longer poses a health hazard. The amount of time that it takes for a kilogram of 239Pu to decay into a pound of plutonium (about half of a kilogram) is 24,400 years. "A period of 20 half-lives" is considered reasonable before the decay product is safe for biological exposure. The health risk from Pu as a radioactive substance arises from the ability of alpha (a), radiation to penetrate tissues and cells to such an extent that it interferes with the genetic code. All cells rely on the genetic code to replicate or to produce new cells by simple division of one parent cell into two daughter cells. If this code is altered, key portions of the genome may cause the cell to function improperly. One typical form of improper functioning is for the cell to generate cancerous tissue because it continues to divide with no regulatory genes to stop it from reproducing into a useless mass. Such a mass is called a tumor. If the tumor is malignant it may cause damage to the body far from the location of the original tumor's site. Depending on the frequency of the radiation and the intensity of the exposure serious damage may occur to healthy cells. Plutonium in a gaseous form seriously threatens human health. In that form, as opposed to solid metal, Pu can be inhaled into the lungs. As a solid, the alpha (a) particles emitted are blocked by clothing, paper or the layer of dead skin cells called the "epidermis." Deep penetration occurs only when the skin surface is cut, or the material is ingested or inhaled, say through smoking a cigarette whose tobacco has been contaminated by plutonium. Experimental evidence in radiation biology has revealed that "plutonium concentrations in algae of 1000 to 6000 times that of their environment have been measured." More people are fearful of the persistence of Pu in the environment for thousands of years, rather than the impact it may have in the initial generation exposed to the material. Generally radiation increases the stress that organisms can endure much the way altitude, or salt spray alters the dominant species of an environment. For Pu to become a gas it must be vaporized at exceedingly high temperatures like that of a steam explosion, a fire, or a nuclear bomb. The risk from radioactive substances is measured with respect to their force in terms of curies. This refers to the number of transformations of radioactive material. A curie actually represents "about 37 billion nuclear transformations per second," in one gram of Radium. These emissions are called ionizing radiation because they interfere with the electron orbitals that hold molecules together binding one atom to another. The electrons are broken loose and ions are formed instead of a functioning molecule that assists a cell in the manufacture of proteins or regulatory hormones. Ecologists have pointed out that "isotopes that emit alpha particles and nothing else (plutonium-239 is such an isotope) generally are dangerous only if they have access to the inside of the body.... The massive particle does great damage over a short pathway..." once inside living tissue. Technically, the body more readily absorbs Cesium-137, Iodine-131, and Carbon-14 than Pu-239. These same researchers concluded, "informed opinion seems to be converging on the view that plutonium is 5 to 200 times more dangerous" than previously thought. Some critics point out that human unreliability is a greater risk than plutonium. "The price we must pay for this great boon," argued Alvin Weinberg, director of the Oak Ridge National Laboratory, "is a vigilance that in many ways transcends what we have ever had to maintain." Whether we are able to handle the burdens imposed by radiation remains unanswered. Plutonium, due to its ecological persistence, is a chronic source of unease. The monument to Enrico Fermi at the University of Chicago, for his successful fission experiment, by Henry Moore sits near the site of the University of Chicago Stadium, where in a squash court on December 2, 1942 the first moderated nuclear chain reaction was experimentally demonstrated. Heinz Pagels, The Cosmic Code, (NYC: Simon & Schuster, 1979), p.10. Daniel Ford, The Cult of the Atom, (NYC: Simon and Schuster, 1982) pp. 22 & 55.The Demise of Nuclear Energy? (New Have: Yale University Press, 1989), pp. 3-10, 125-127, 154-155. Lorna Arnold, Windscale, 1957, Anatomy of a Nuclear Accident (London: Macmillan, 1992), page 22. Luther J. Carter, Nuclear Imperatives and Public Trust, (Washington D. C.: Resources for the Future, 1987), p. 253, comments on Pu-239 discharges into the Irish Sea from Sellafield (Windscale,,,,) are higher than from the French facility at Marcoule. Chemists list the letter first and then the number of the isotope of an atomic element (U238); physicists who are more interested in the quantity of the neutrons and protons in the atomic nuclei put the number of the isotope before the symbol of the element (239P). Lawrence Badash, Scientists and the Development of Nuclear Weapons (N. J. : Humanities Press, 1995), p. 35. "More on Risk Management," Environment (May, 1997. [39:4]), p. 43. Comments by Dale Hattis "Drawing the Line: Quantitative Criteria for Risk Management" Environment, (July/August, 1996) , by Dale Hattis. Richard P. Turco, Earth Under Siege, ( NYC: Oxford University Press, 1996), p. 401 states that "...plutonium, which, ounce for ounce, is the most toxic material known on Earth." Sir George Thomson, The Atom, (NYC: Oxford University Press, 1963), p. 184. Turner, "Effects of continuous irradiation on animal populations," Advances in Radiation Biology, vol. 5, pp. 83-144, 1975. quoted in Ehrlich, Ehrlich, & Holdren, Ecoscience, (San Francisco: W. H. Freeman Co., 1977), page 672. In May, 1969, the Rocky Flats, Colorado, arsenal had an industrial fire that consumed 2 tons of Pu spreading 30 pounds of the substance off site into the air. "In the cleanup afterward, some 9,300 cubic meters of plutonium contaminated debris, . . .was shipped from Rocky Flats." see above: L. J. Carter (1987), p. 66. Ecoscience, pp. 432, 580-581, ( for plutonium toxicity see page 586 ). Weinberg is quoted in Garrett Hardin, Living Within Limits, (NYC: Oxford U. Press, 1993), pp. 156-157. He argues that "system reliability is not the problem.... the heart of the problem lies in human nature." (p. 157). A French reactor core where fuel rods are made of U-238 and fission to produce Pu-239 as a byproduct can be found in : G. Tyler Miller, Living in the Environment.